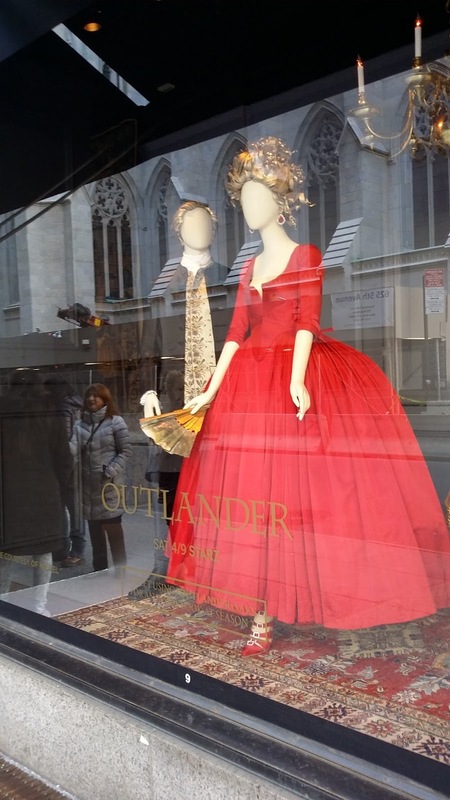 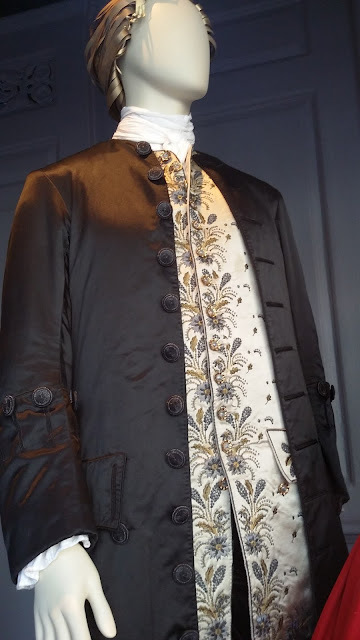 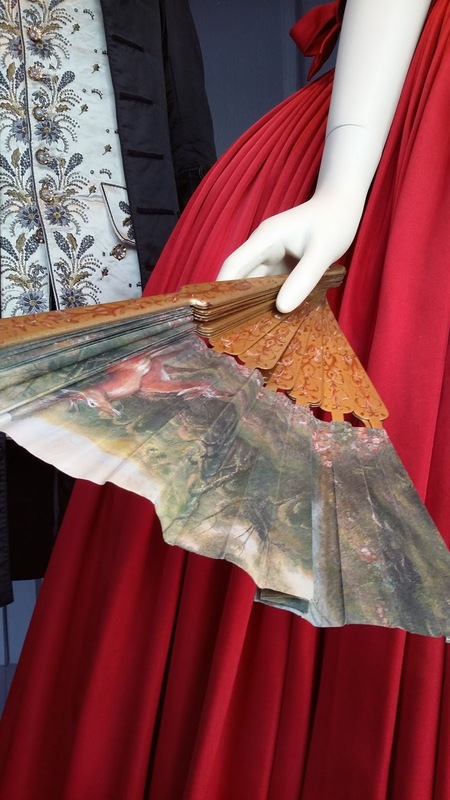 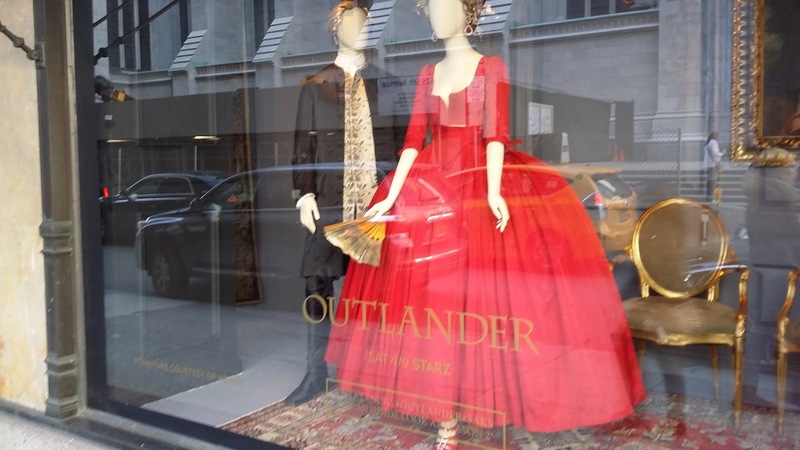 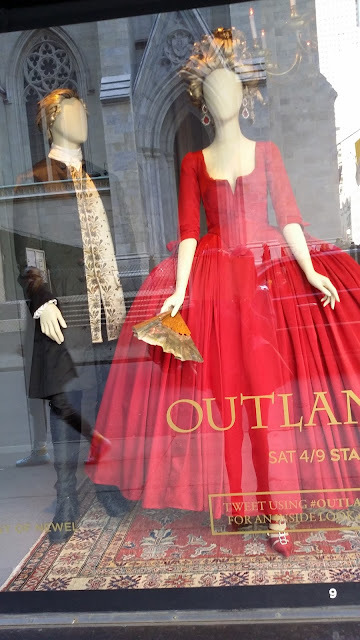 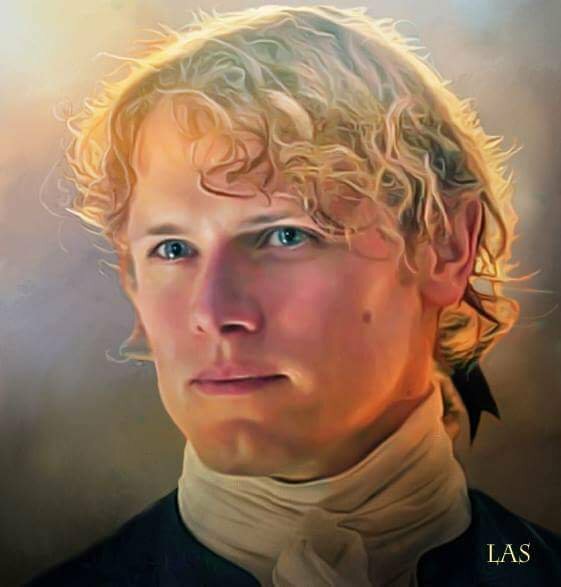 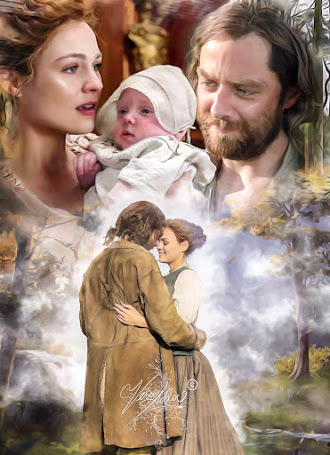 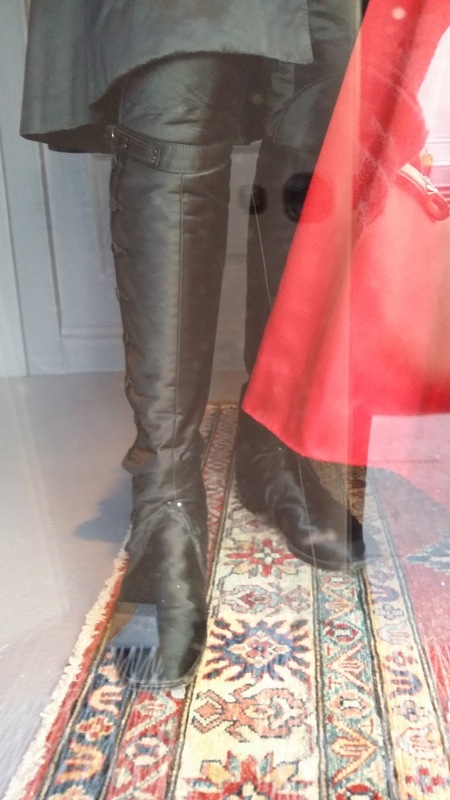 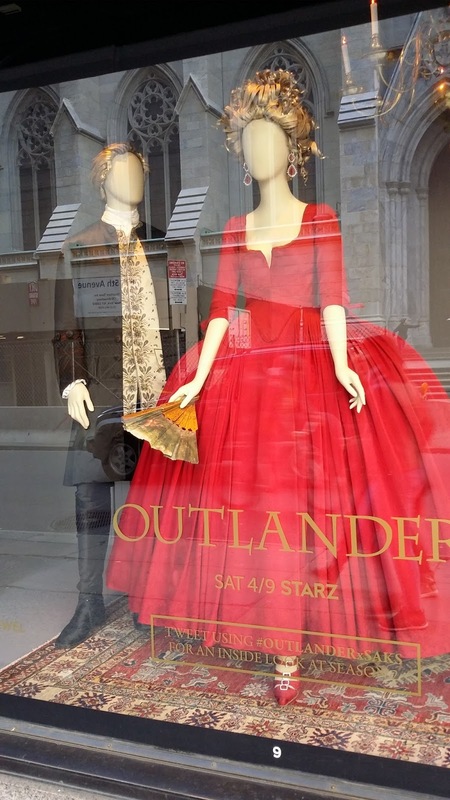 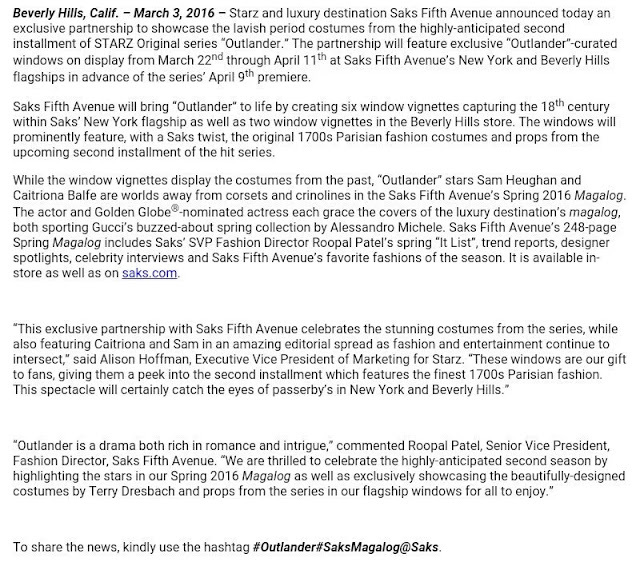 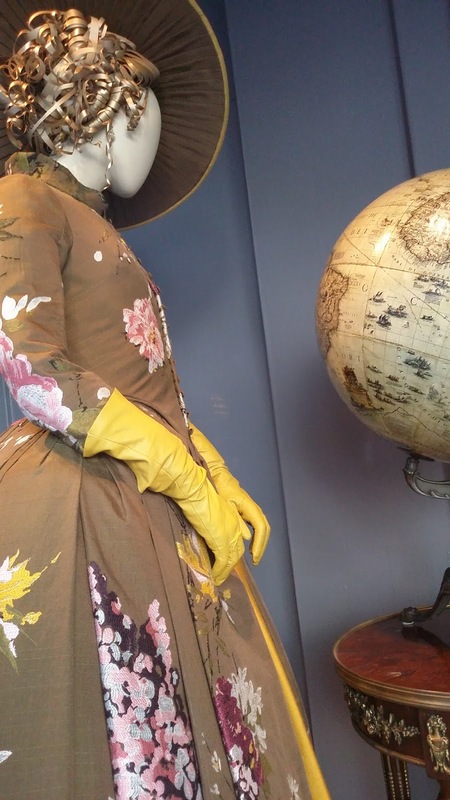 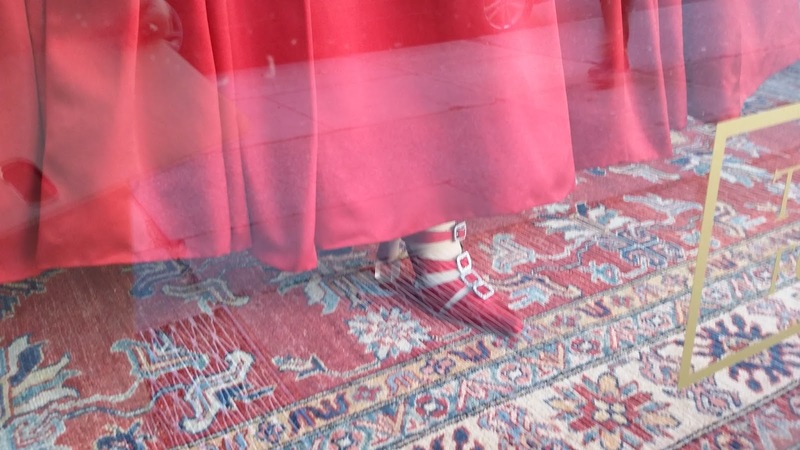 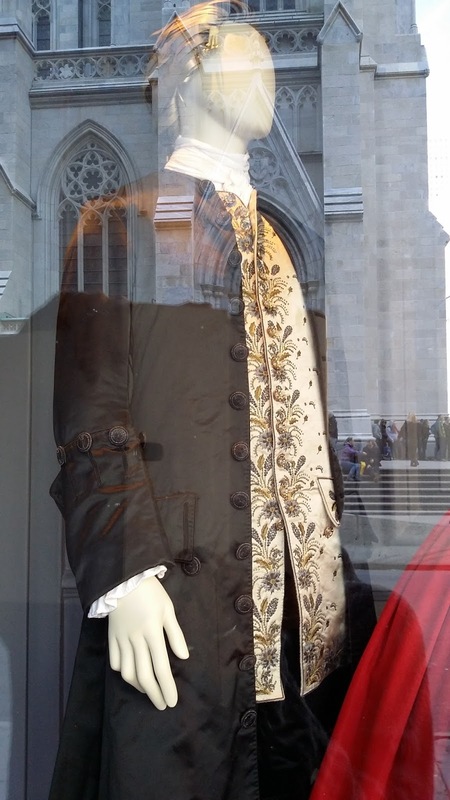 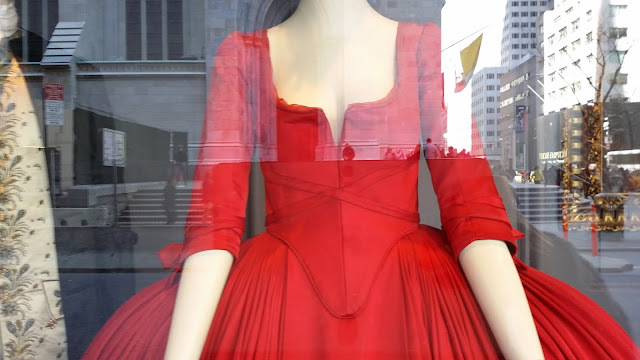 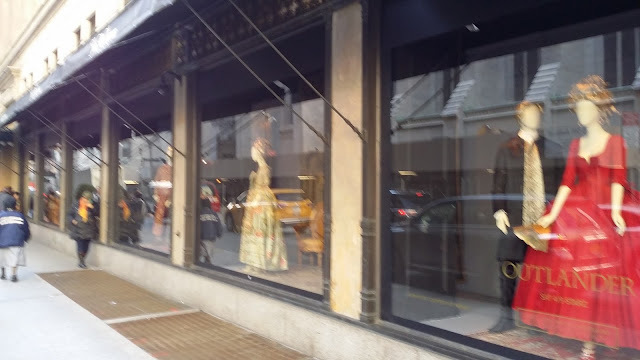 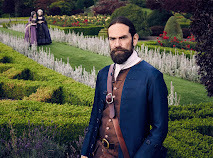 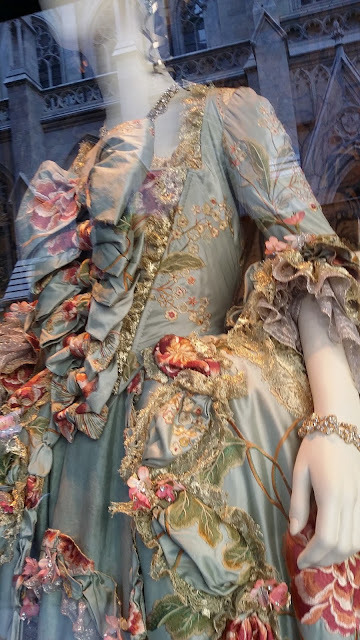 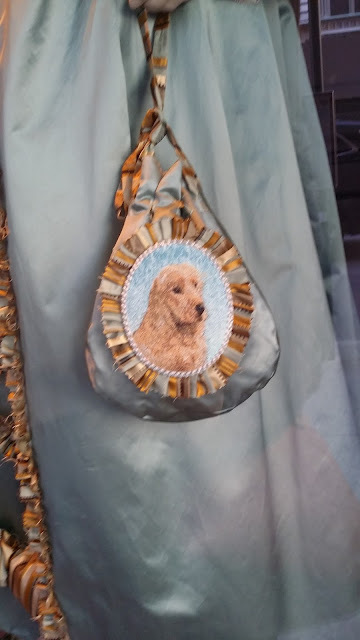 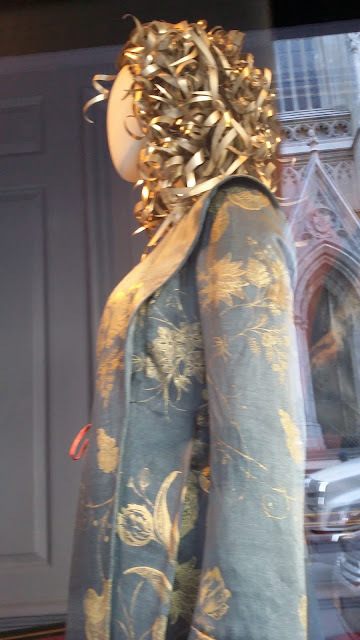 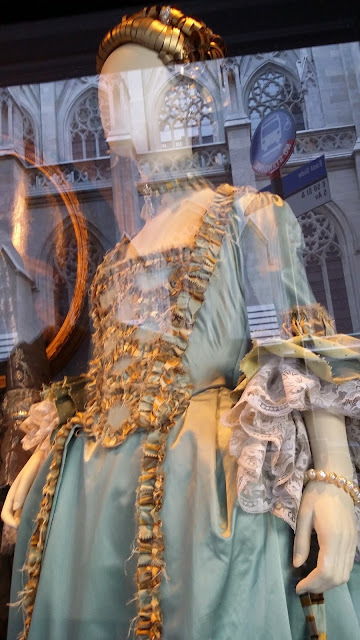 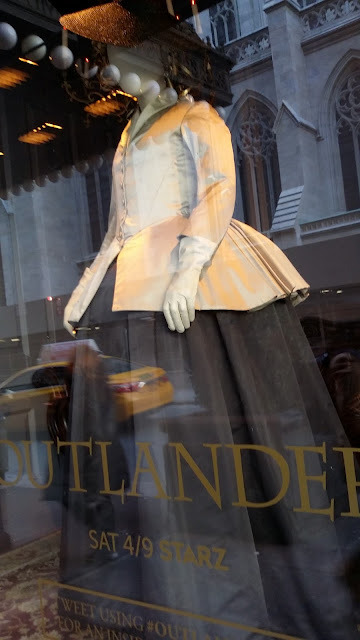 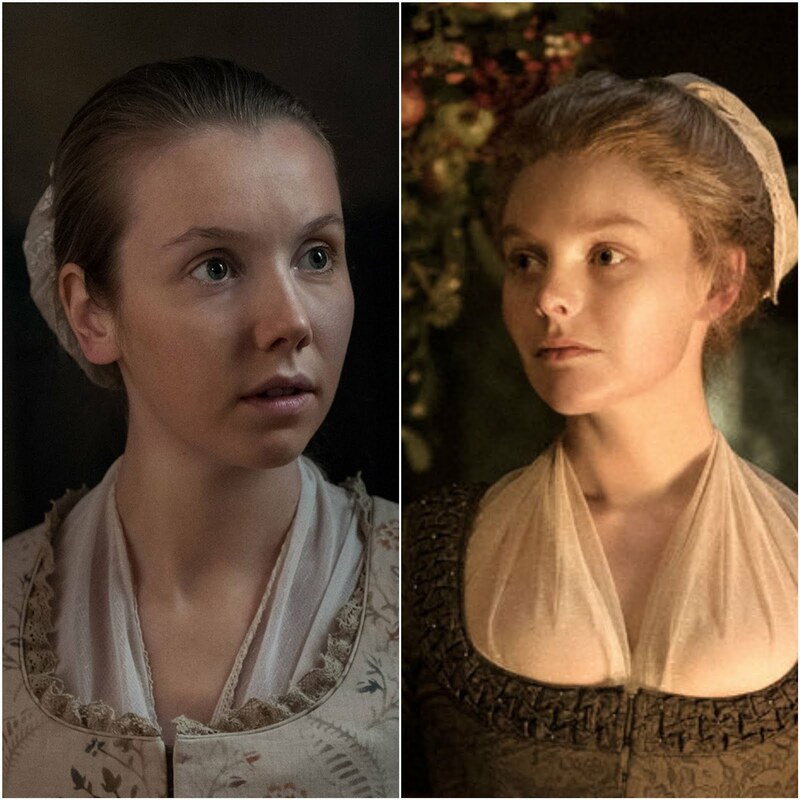 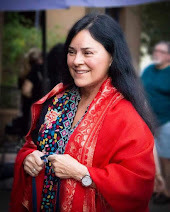 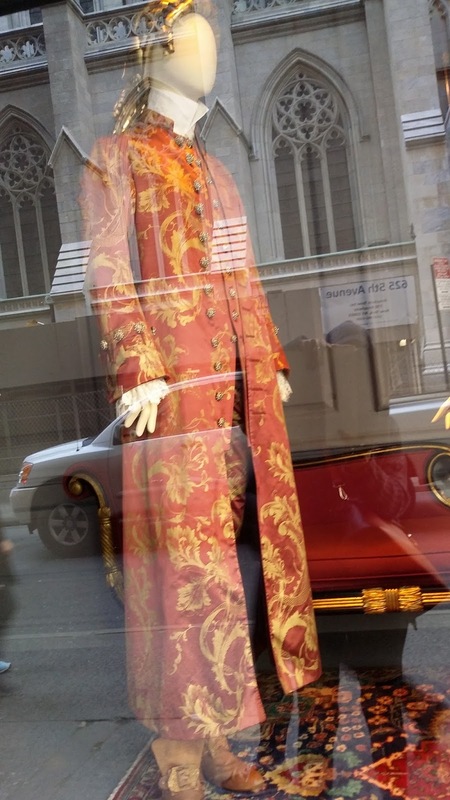 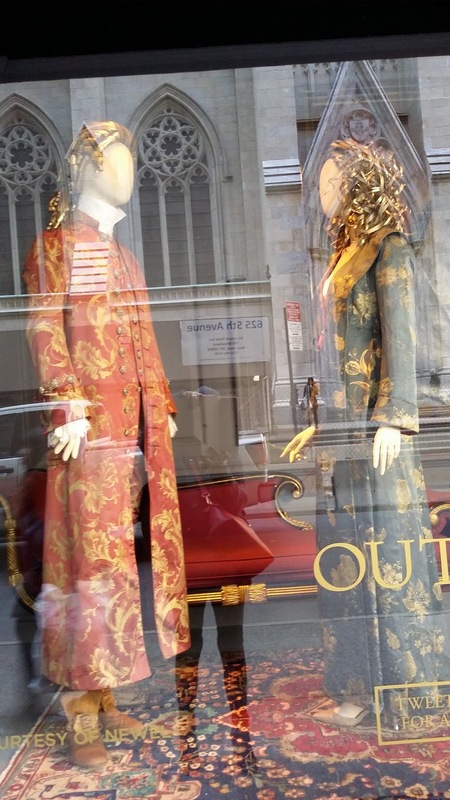 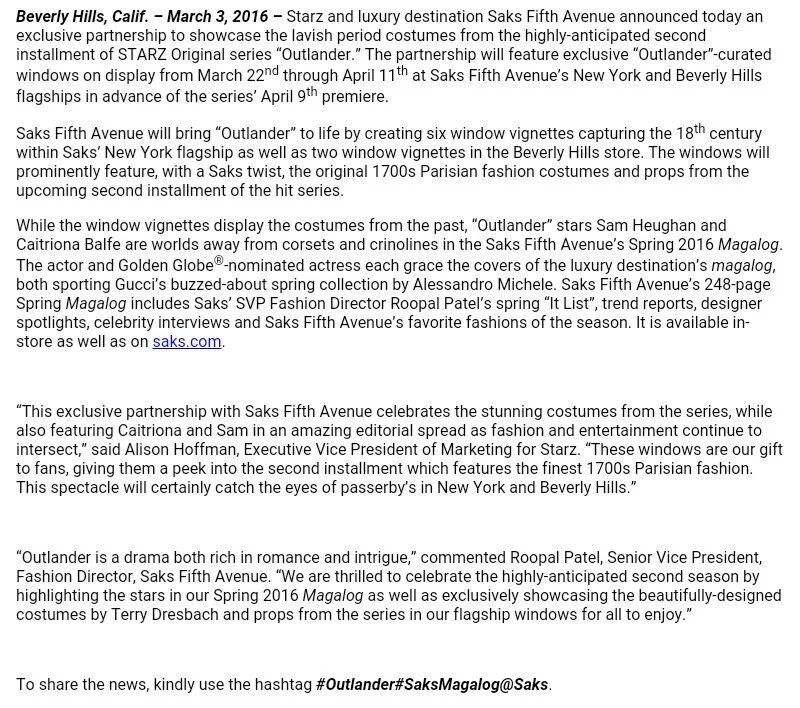 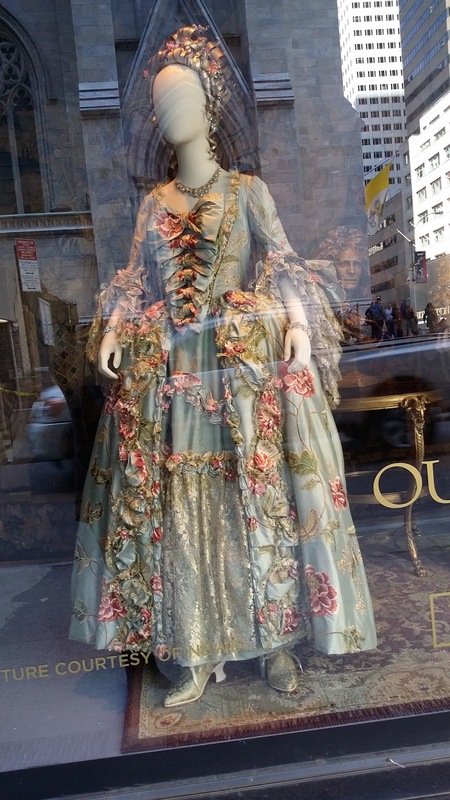 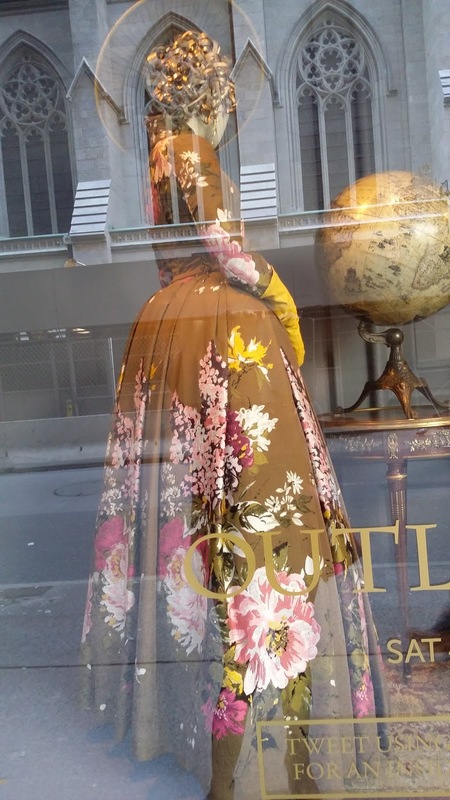 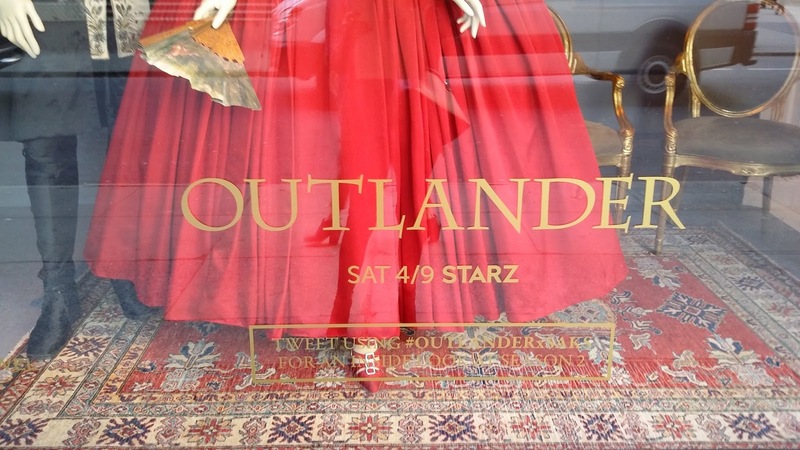 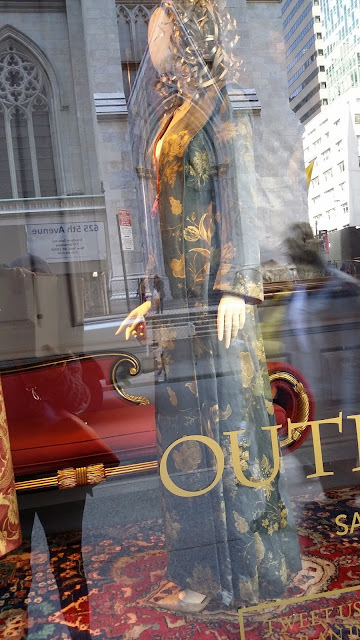 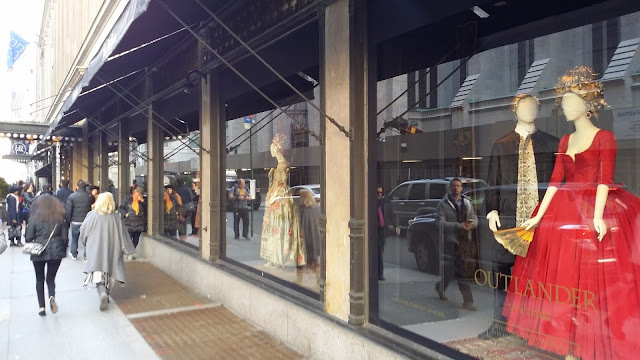 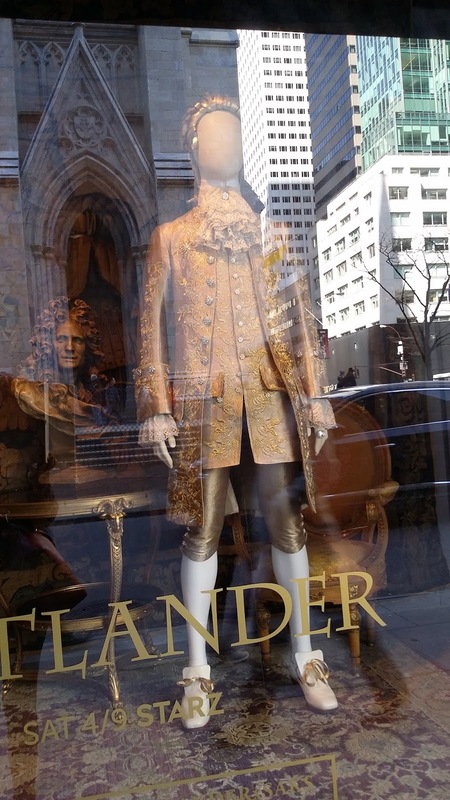 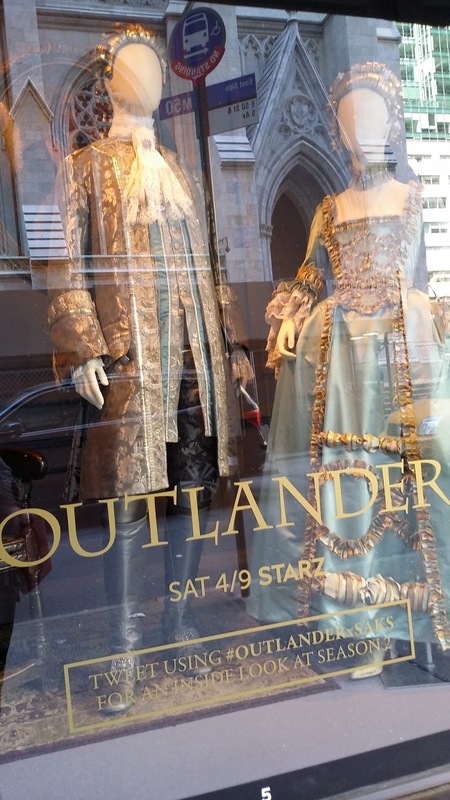 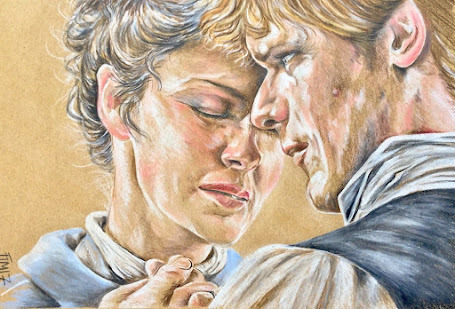 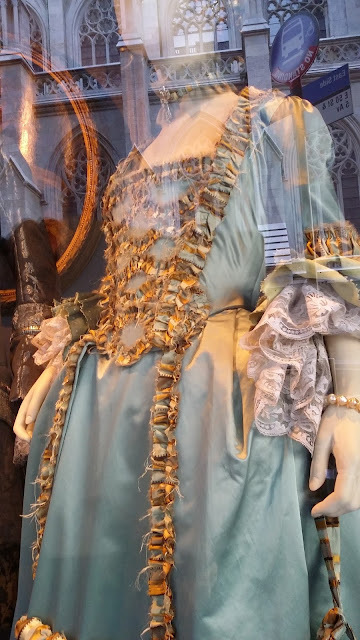 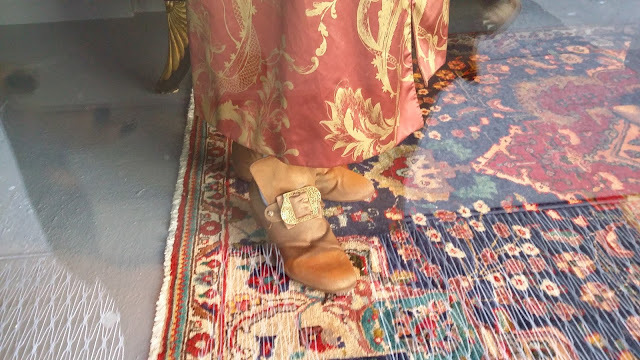 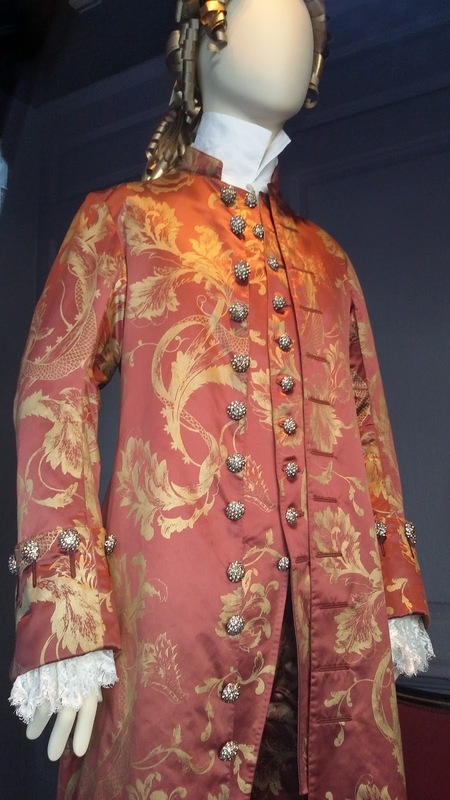 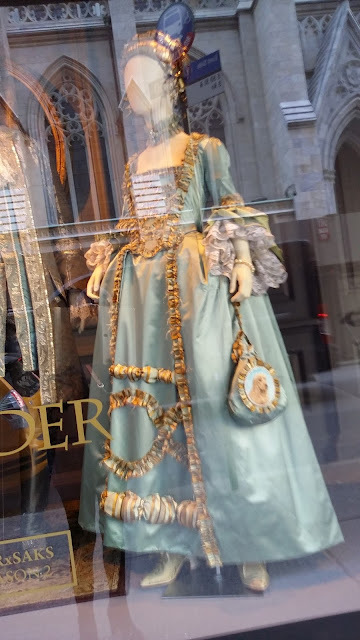 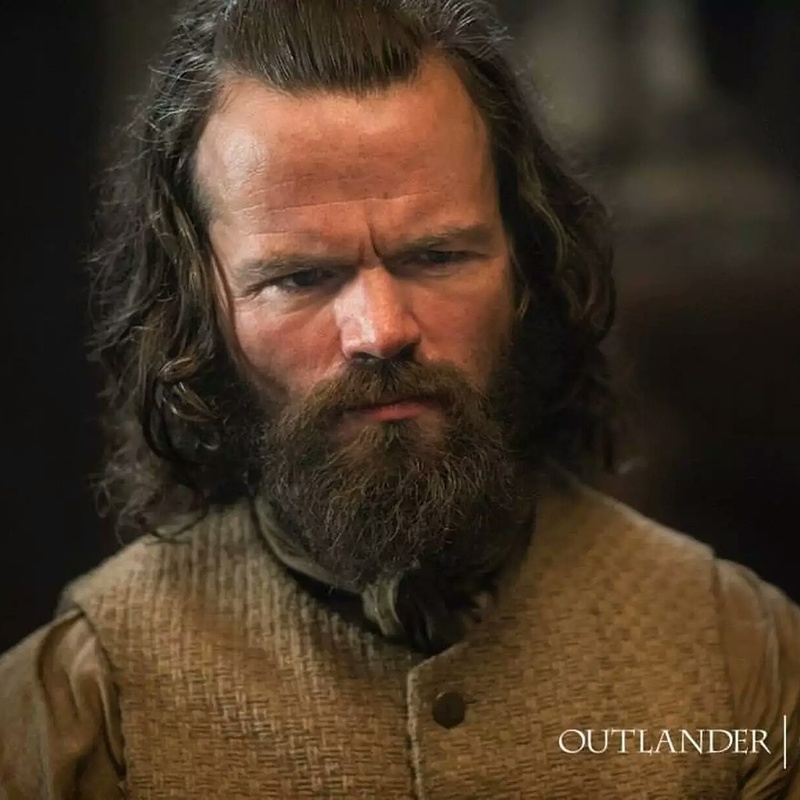 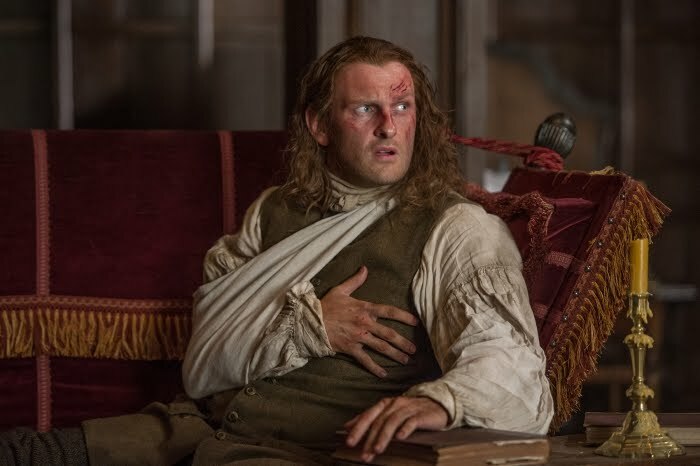 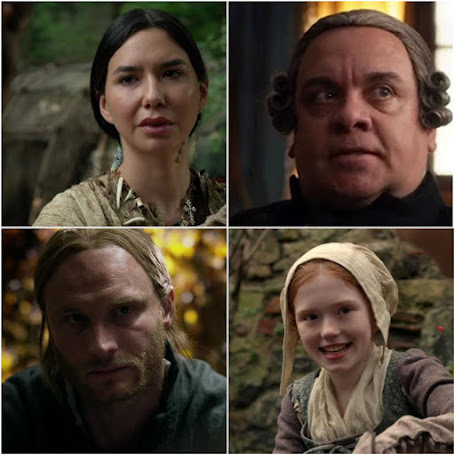 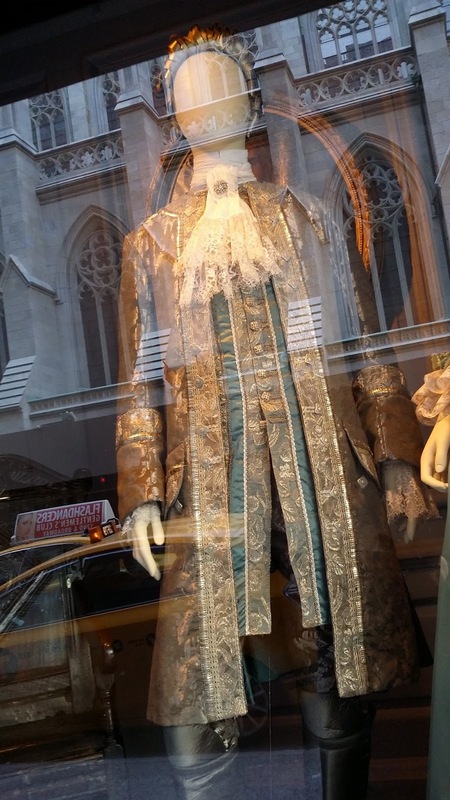 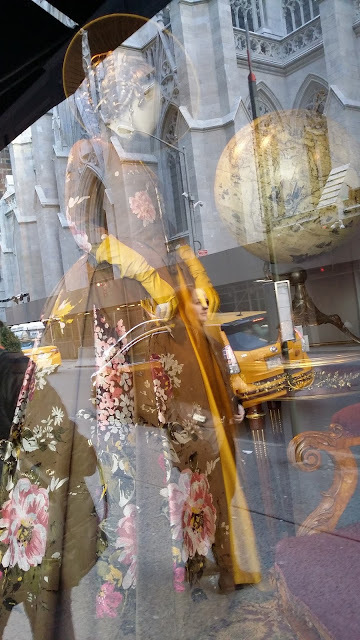 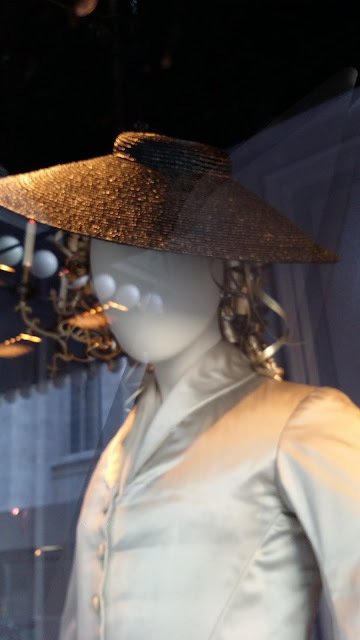 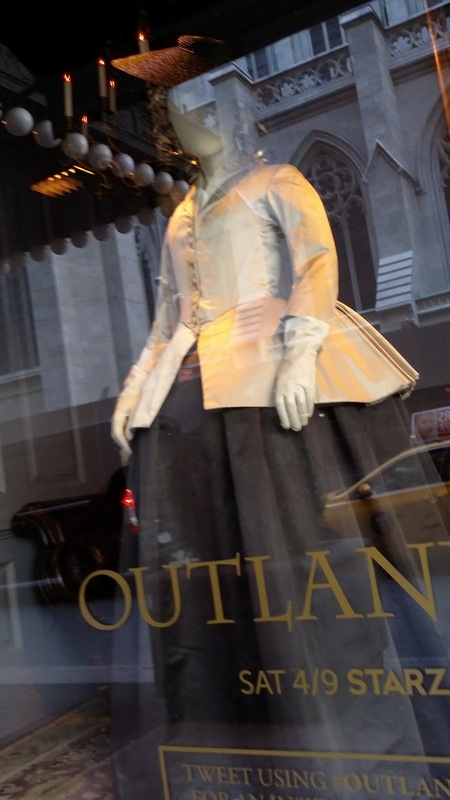 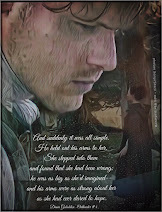 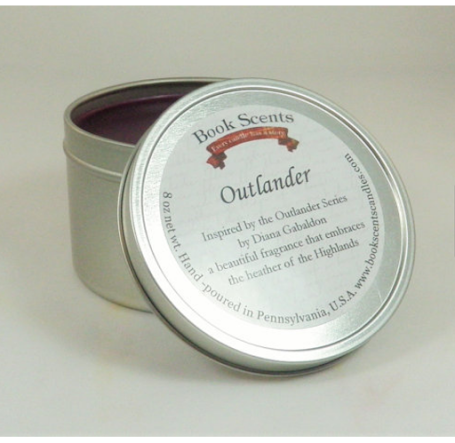 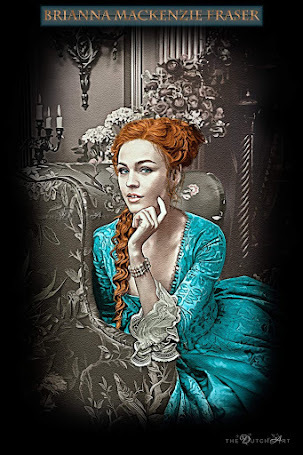 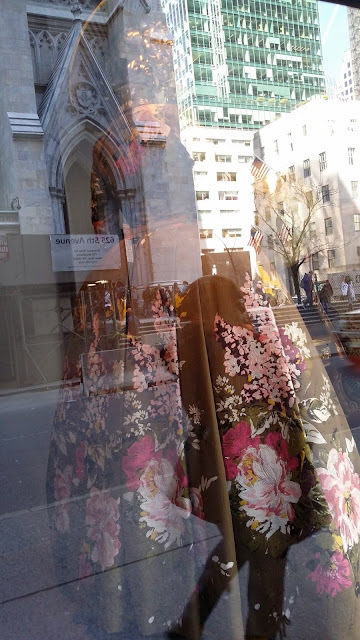 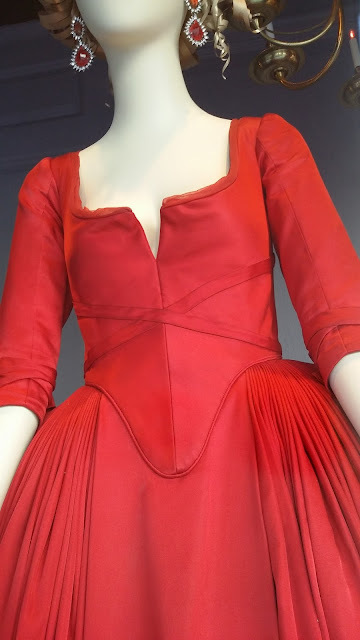 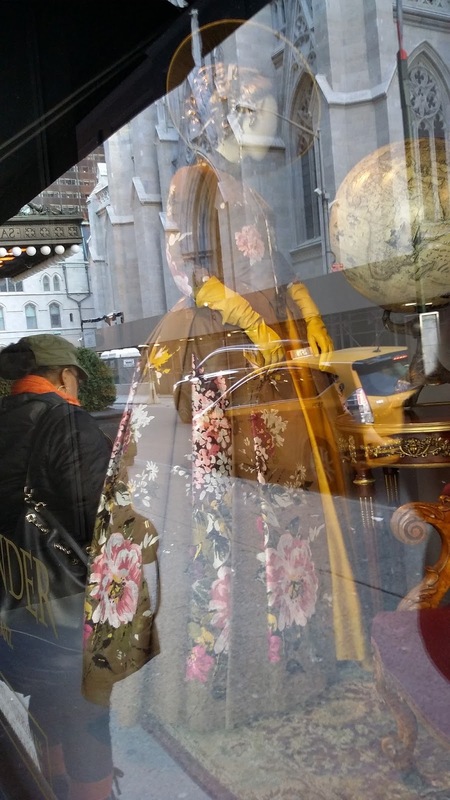 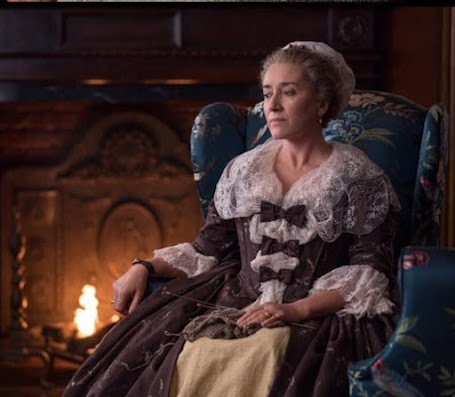 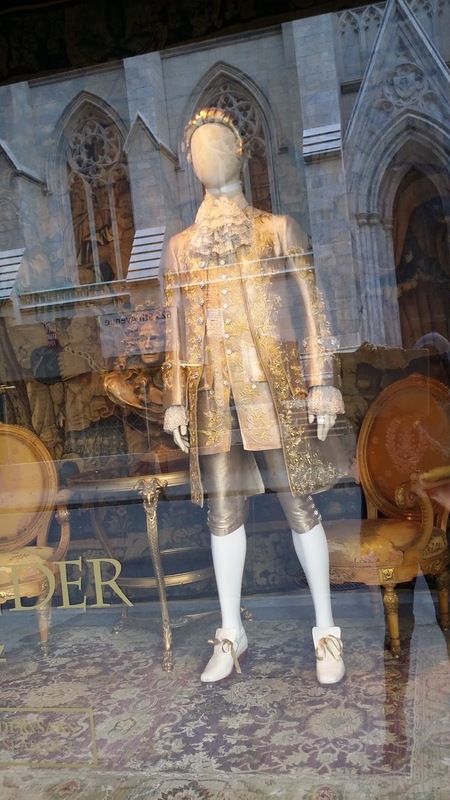 Outlander Homepage: My Trip to the SAK'S FIFTH AVENUE Windows! 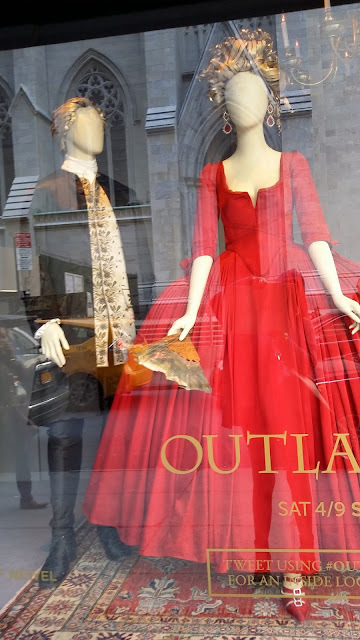 I cannot emphasis more, how tiny Caitriona's waist is. 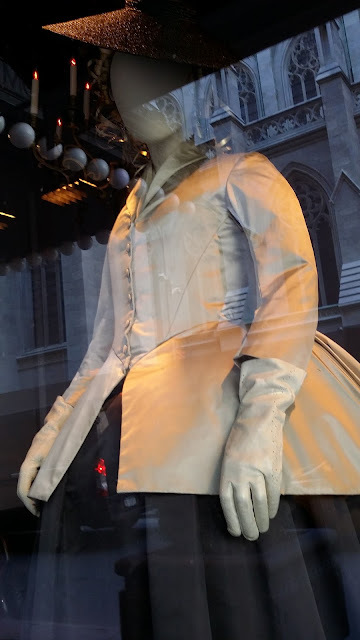 Maybe a 22 inch? 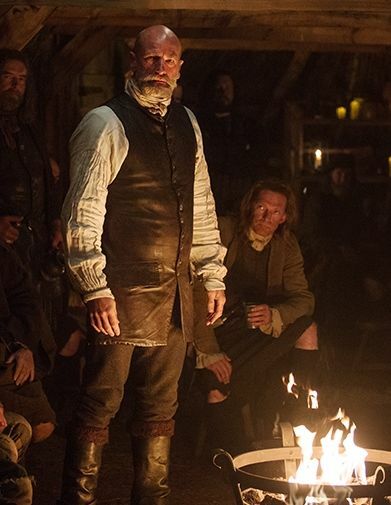 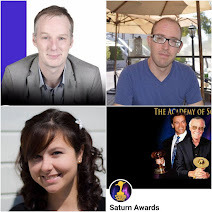 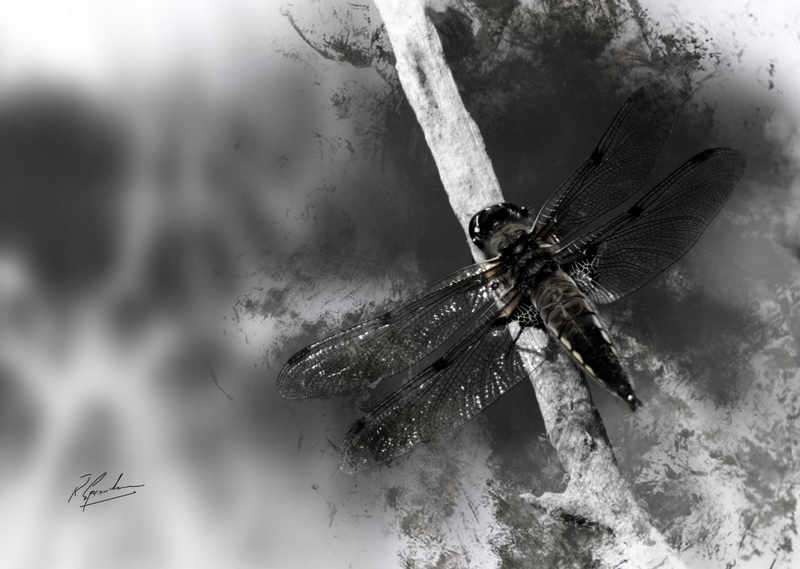 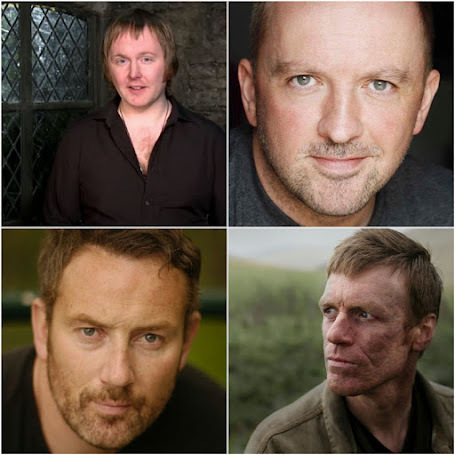 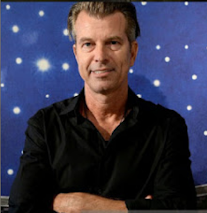 Terry dressed Sam in a lot of black this year, as per Sam, saying it reflects his internal struggle.